Do you enjoy a tough military look? This cap will be the perfect accessory for you. In a choice of classic shades of black, charcoal or khaki, it will compliment any outdoor outfit. The caps are made using a high-quality ripstop fabric. This modern material is manufactured using a special reinforcing technique making it resistant to tearing and ripping. The caps are manufactured to the highest standards with double stitching for durability. The cap is easily cared for by hand washing or machine washing on a short cycle with soft detergent. Allow to dry in the sun and do not squash or crush it. Looking after your cap will ensure that it keeps looking as good as new season after season. 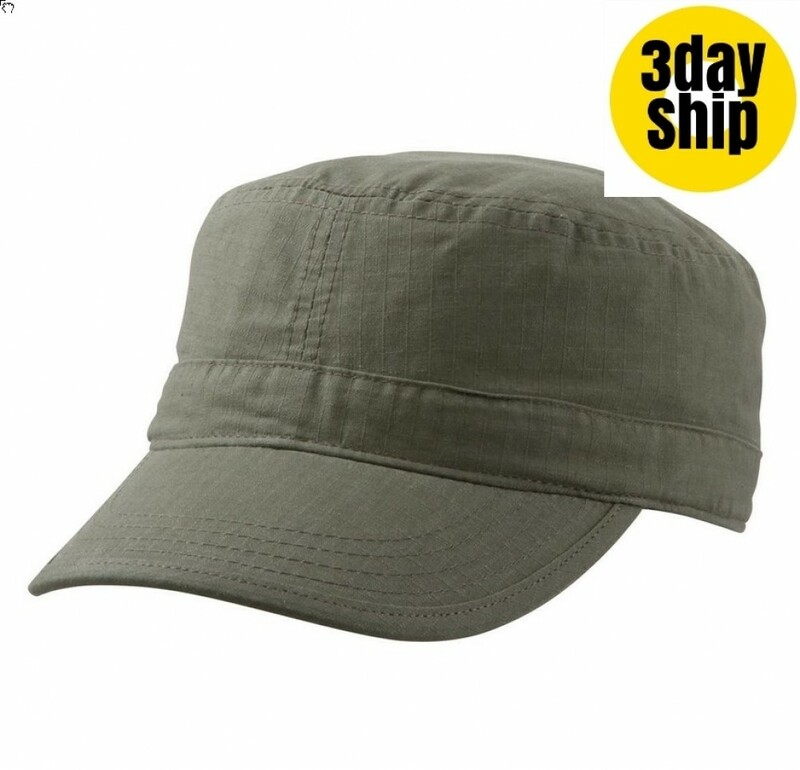 Any company in the outdoor market, camping equipment manufacturers, hiking and fishing companies will create a great advertising campaign when these caps are branded with your personalised logo and graphics. Offer them to clients at events, trade shows and product launches. Your brand will soon be seen around the countryside. Talk to our friendly team for branding ideas, we have years of experience.